2 Are “extended” Latin characters slowing the growth of African Wikipedias? 5 Will Siri and Alexa speak Welsh someday? 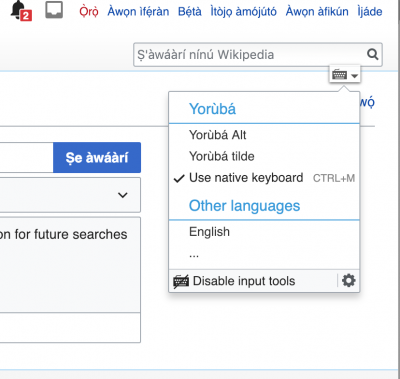 While there are special keyboards such as the Yoruba Name keyboards for Mac and Windows and other virtual keyboards that allow users to display these special characters, they require some degree of technical knowledge to install and utilize. Odedere envisioned a solution built into Wikipedia itself. 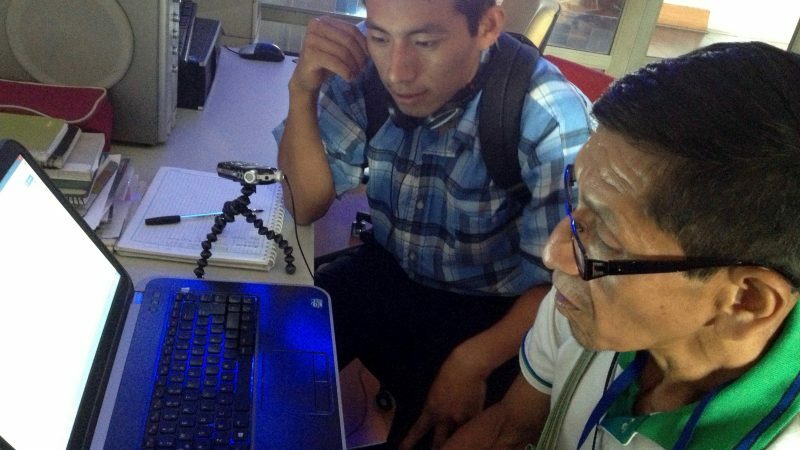 He put in a request on the Wikimedia Community Wishlist to have Yoruba, Hausa and Igbo incorporated into the Universal Language Selector (ULS), a facility available for Wikipedia and other Wikimedia projects to “allow users to type text in different languages not directly supported by their keyboard, read content in a script for which fonts are not available locally, or customize the language in which menus are displayed.” The request was granted and the Wikimedia Foundation Language Team included the three West African languages in the ULS. Now Wikipedia editors using a desktop or laptop computer can incorporate the special characters into their texts by typing the tilde (~) character before the corresponding letter.